For decades, business owners and marketers alike relied on various medium to get their message across their preferred audience. However, when it comes to the capability of telling compelling stories that resonate across different niche, nothing can beat content marketing. As a process, content marketing involves creating high-quality materials such as blogs, articles, videos, infographics, and emails that aim to educate, entertain, and inform the buyers. While it shares the same end goal as traditional marketing i.e. achieve higher quality leads and sales, the way content marketing draw attention and establishes a genuine relationship with the audience is what truly sets it apart from the scene. Nowadays, people are becoming more hostile towards aggressive marketing aka in-your-face sales tactics. In response to this changing mindset of the market, smart marketers use content marketing to approach their target audience in a subtler way – by giving them content that can help them create informed a purchase decision. This ensures that their customer’s needs are met, while at the same time placing the brand as a reliable and trustworthy business that customers would love to have business with in the long run. 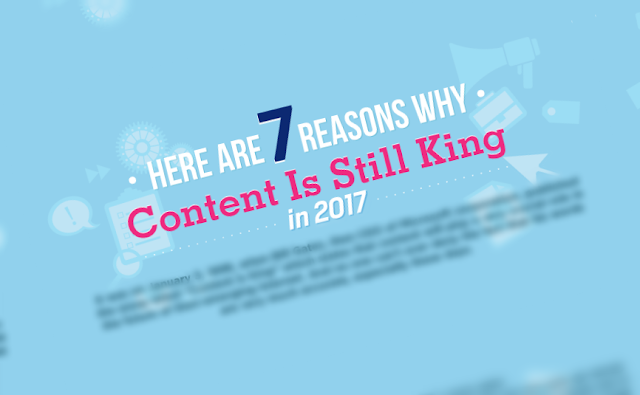 This inherent nature of content marketing pretty much explains why it’s still relevant this 2017 and in the years to come. But if you want a more detailed explanation, check the infographic provided by our peers from Harris Myers.